The Social Media Generation Gap — SparkShoppe LTD. The differences between generations and the way they interact with media is important for marketers to understand in order to reach their target audience. Behaviors of Baby Boomers are going to be vastly different from those of Gen X, Gen Y (Millennials), and Gen Z. The most prominent social media channels are Facebook, Instagram, Snapchat, and YouTube. Each posing their own challenges for marketers as they try to target specific generations. Facebook offers the largest pool of consumers, and is the go-to for many marketers. However, depending on your consumer, there may be better outlets for your marketing funds. Currently the most coveted generation to marketers are the Millennials. Millennials have recently become the largest living generation in the U.S and therefore possess a high spending potential. Ideally, brands want to gain awareness and loyalty now, which will bolster future sales. Unlike Baby Boomers and Generation X, Millennials use a wide variety of social media channels (this is also true with Gen Z.) The top 3 social networks are Facebook, Instagram, and SnapChat which all hold 35%, 30%, and 20% respectively, in terms of preferred social platform. 49% of the Millennials surveyed, currently follow brands they like on social media platforms and prefer brands that provide entertaining content and product information. 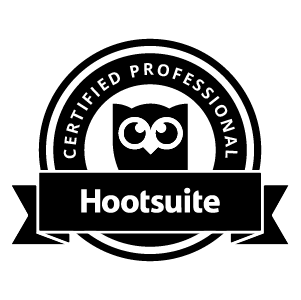 A third of those who follow brands interact with them; whether through promotional posts, reviews, or comments. Further, 60% of those who follow a brand tend to trust that brand and are more likely to make a purchase. Millennials are one of the most active generations on social platforms and are likely to unfollow a brand if they are “Spammy,” “Annoying” and/or have a bad experience. It is important to note that quantity isn't the determining factor when deciding if a brand is spamming, but rather the content. While there are multiple social channels to reach Millennials, marketers need to make sure that content is relevant and is appropriate for the targeted channel. Baby Boomers and Gen X act very similarly when it comes to the social and digital space. Both generations overwhelmingly prefer Facebook over the other platforms. Around 60-70% prefer Facebook and the second highest platform is YouTube at 5-10%. This is a crucial understanding for brands whose target market includes these generations. Gen X however, is more active than Baby Boomers on social platforms. 49% of Gen X follow brands as compared to 25% of Baby Boomers. They also differ in what kind of content they prefer. Gen X prefers contests/sweepstakes and promotions; whereas Baby Boomers prefer product information and deals. 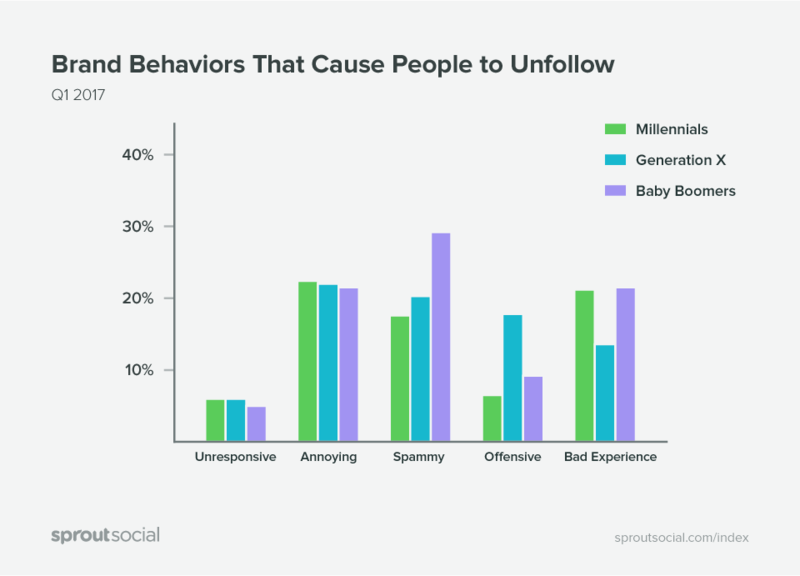 Gen X in particular is 160% more likely than any other generation to unfollow a brand that says something offensive or in opposition to their personal beliefs according to Sprout Social Index. Both generations are just as likely, if not more likely to make a purchase from a brand they follow. While TV and traditional media still tends to be a better outlet to reach these consumers, Facebook is quickly becoming a great tool to reach Baby Boomers and Gen X consumers. We can all agree social media is a great way to connect with customers and create brand awareness, but it is important to target consumers based upon demographics to effectively communicate your message. Although most consumers prefer Facebook to other social media platforms, brands shouldn’t have one blanket post for all consumers because each generation prefers different types of content and will react differently. Brands that understand this will see the benefits for years to come. 4 Ways to Get Creative with Photoshop!